These are samples of past commissions I have worked on for various clients, including Illustrations, logos & Twitch Emotes. 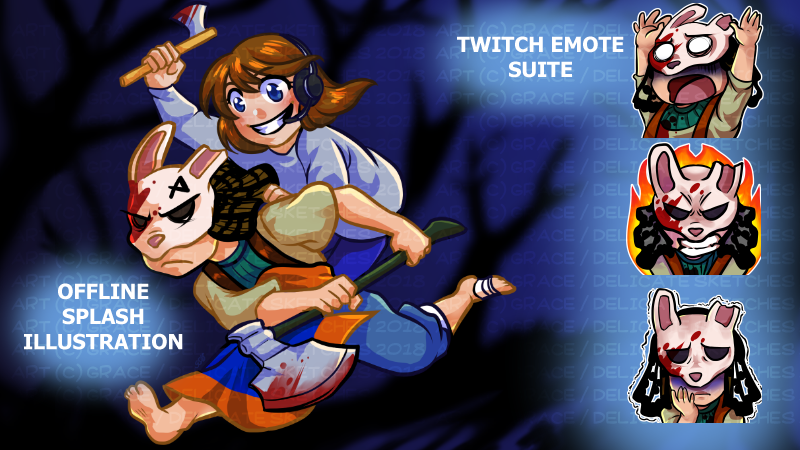 Twitch Emote Suite + Offline Splash Illustration. Clip Studio Paint Pro.